In today’s world of social media, you need to work hard to connect with your followers and potential customers. There are many benefits of having a solid social media presence, not least the ability to promote your brand and build a new audience. 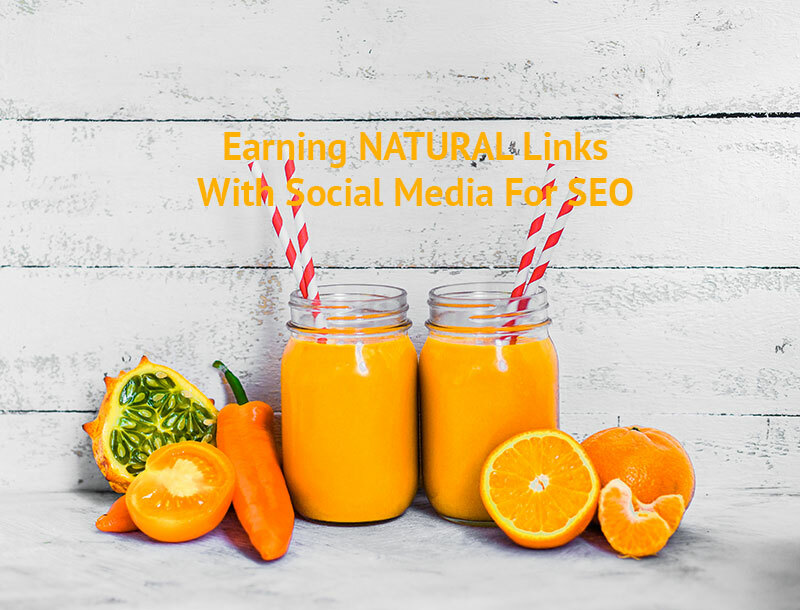 One key but often overlooked aspect of effective social media management is the ability to attract natural links to your website. There is a big difference between link building and link earning. That said, social media can help you EARN real, beneficial links that will bring you traffic and authority. This can be achieved by consistently providing high quality, shareable content to your target audience. An engaged social audience can assist you to achieve this, helping your business attract new clients and leads. It is worth remembering that all links are not created equal. Quality reigns over quantity. Therefore, it is important to focus on providing real value to users. Consider the demographics, likes and dislikes of your target audience, then monitor this using a variety of analytical tools. This will enable you to discover valuable insights and help you tailor content for maximum effect. Getting your useful content shared is a vote of confidence for your brand. Social media can be effective in helping you attract website traffic, be recognised as an expert in your field, and increase your ability to drum up new business. Interaction with your audience is vital. Be sure to provide value and engage with carefully considered viewpoints. This will help you build relationships and connect with your prospects. One way to achieve this is to select the most suitable social media networks for your industry and product or service type. For example, if you are operating a B2B service, you may find LinkedIn most effective. On the other hand, if you run a B2C service, social networks like Facebook, Instagram and Twitter may be useful. Either way, it is important to think about where your audience hangs out and tailor your brand messaging to suit your overall business goals. Informative content is great for SEO and social, long live informative content, now that you read through all the above and know the difference between the two, how they relate to types of queries and directly to how social friendly your content is. All you have to do is to get a little creative and think about your users, what questions they might have, answer those and participate, REMEMBER to be informative, you need to leave your sales agenda out. There may come a time when it makes sense to take advantage of social media advertising. This can further enhance your ability to reach new audiences and attract natural links. Many of the major social media platforms now accept advertising and offer powerful targeting options to help you pinpoint your customer base. This includes geographic, demographic and other methods to reach out to prospects. In summary, social media can be highly effective at helping you earn organic links to your website. By providing value to your followers and engaging in the discussion, you can earn beneficial links and position yourself as an expert in your field. We are a digital boutique in central London our core is SEO, paid search and content marketing. Based at the centre of it all, the Silicon Roundabout in Old Street and Shoreditch and work with tech startups and innovators all the way to the other side of town in Soho, Marylebone and Mayfair with the beauty, health, luxury, fashion and media industries to mention but a few. Pingback: How does no link building SEO work? SEO, paid search and content marketing boutique specialising in long-term strategies. ﻿How To Optimise For Voice Search – The Future Of SEO! How Long Should Content Be For SEO?